"The UN Outer Space Treaty of 1967 stipulates that no government can own extraterrestrial property. However, it neglects to mention individuals and corporations." 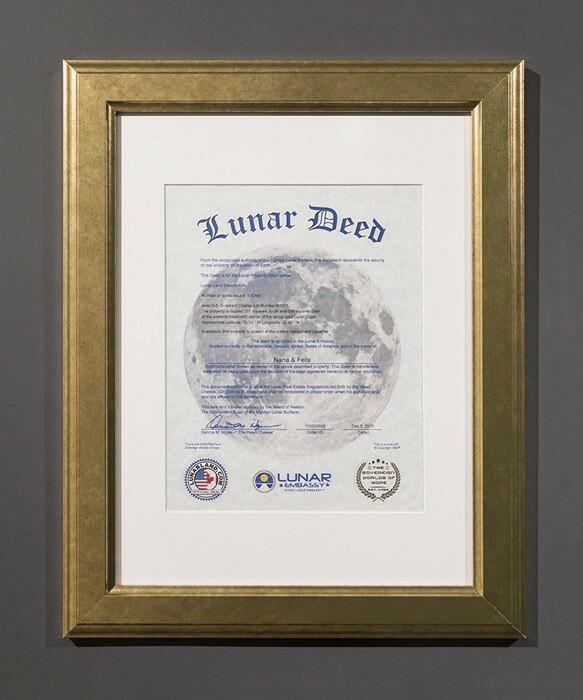 On this basis the Lunar Embassy has, since 1980, sold moon-property to 5,000,000+ people from 176 countries around the world. On December fifth, 2015, Nana & Felix decided to follow the way of many of our worlds more famous people and invest in extraterrestrial real estate. 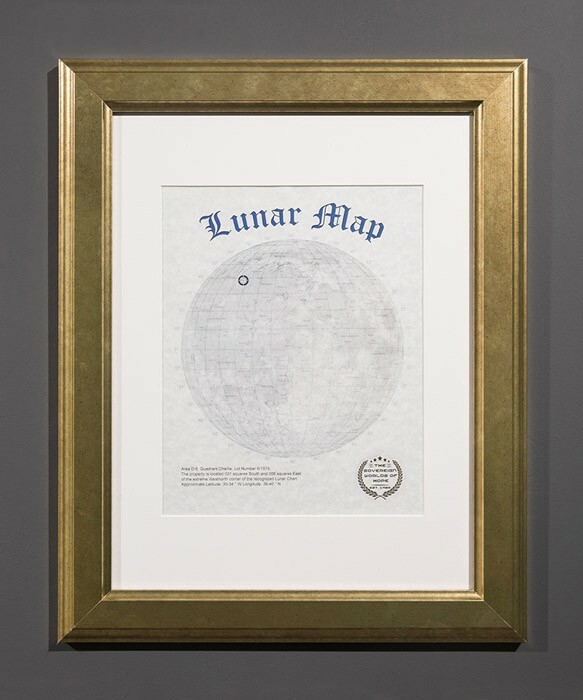 We are now proud owners of one acre of land on the moon, located at the craters Helicon and Leverrier. The installation consists of signed and certified documents that prove our ownership and the exact location of our property. 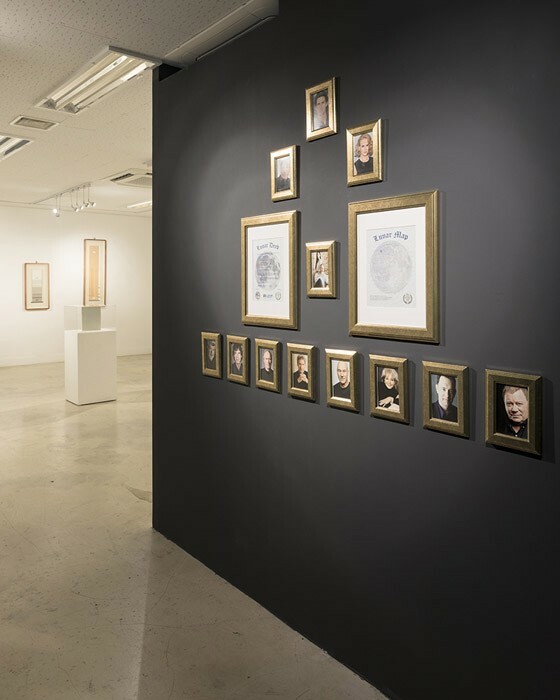 We have also included a celebratory portrait of ourselves surrounded by another 11 portraits of celebrities that also own land on the moon (our moon-neighbours).